While the record is just slightly higher than the previous one, it’s still a new record and a positive development for the company. Based on a recent blog post on Silver Lining, a Tesla Model S P100D has achieved a new hypermiling record. Driving around in circles for nearly 24 hours (23 hours and 45 minutes to be exact) at speeds of 40 kph (24mph) in a 26-km closed loop, Steven Peeters and Joeri Cools (both from Belgium) were able to run the car for 901.2 km (equivalent to around 560 miles). In total, they consumed a record low 88 Wh/km. With this feat, the duo proved that not only is the P100D Model S Tesla’s (NASDAQ:TSLA) fastest car, it also has the farthest range. Prior to this, the record was held by Tesla Models S 85D owner Casey Spencer who drove for roughly 26 hours at around 22 mph and was able to log in about 885 km (equivalent to around 550 miles). For those who are not familiar, hypermiling refers to the practice of driving vehicles at maximum efficiency to achieve the farthest possible distance on a tank of gas, or in the case of electric vehicles (EVs), on one full charge. Maximum efficiency typically requires driving at a slow, steady speed; not turning on the air conditioning and other accessories that make use of battery power; and attempting to get tail wind to add more mileage. In the case of Peeters and Cools, they took turns driving under the scorching heat of the sun — without any air conditioning. They may have employed other techniques too, but they aren’t revealing much more except that their approach gave them the advantage of learning from each round. To be clear, hypermiling isn’t an effective way to test the range of a vehicle because it simply doesn’t reflect how cars are normally driven. For one thing, there are minimum speed limits that should be followed. And when driving on a freeway, 24mph is definitely below the minimum required speed. On the other hand, hypermiling is still a good way to test a vehicle’s limits. As the duo found out, it’s also a good way to learn about ‘driving economically’. According to Peeters, 40kph is the most efficient driving speed. In other words, it’s the speed at which the vehicle consumes the least amount of fuel. Aside from that, however, they’re choosing to let other drivers find things out on their own. 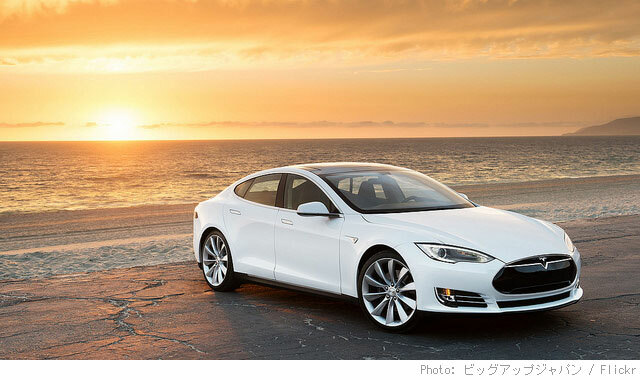 Officially, Tesla says their Model S has a maximum range of 572 km (equivalent to 355 miles) on a single charge. Tesla CEO Elon Musk has now kind of revised this, though. In response to Electrek’s report about the new hypermiling record, he tweeted that with the right tires, the P100D Model S is capable of achieving a range of more than 1,000 km (621 miles). And with an even more powerful battery, that range is bound to get even higher. Needless to say, such news positively affects Tesla stock which has seen a massive spike so far this year, gaining nearly 75%. 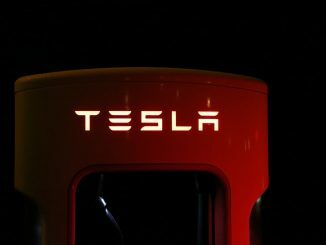 Certainly the name, which currently is printing a new all time high of $385 a share, is one of Wall Street’s most hotly debated, with the skeptic crowd pointing to overvaluations and overbought levels while believers including Apple co-founder Steve Wozniak claim that the company is at the forefront of the EV revolution and of anticipating the world to come. As we mentioned, TSLA is a hotly debated ticker and only time will tell if it is worth holding it or a risk that won’t pay off for investors.